Et Tu, Low End Mac? Et Tu? "...if a company produces hundreds of computer models, chances are that a few might come out looking a little too distinctive, little too unique, or little too weird. 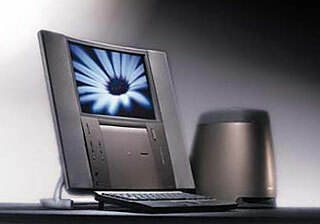 Here are the five weirdest Macs ever released by Apple. 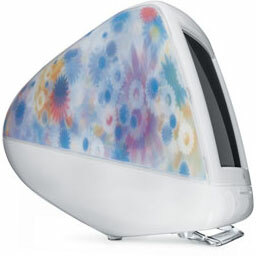 "About three years into the iMac G3's lifespan, Apple ran out of colors. It had manufactured iMacs that were Bondi Blue, Blueberry, Strawberry, Lime, Tangerine, Grape, Graphite, Indigo, Ruby, Sage, and Snow." "In February 2001, Apple found the answer: It debuted iMacs with multicolor patterns named Blue Dalmatian and Flower Power that came molded into the case plastic." "Some thought the new patterns were ugly, while others just secretly barfed." "Beneath their tacky exteriors, they were solid, dependable iMacs, of course. But outside, they were both really weird, so they share a tie for the number five position on this list." "If one were asked to name the most indulgent, over-engineered personal computer ever created, one might casually mention the Twentieth Anniversary Macintosh. Then duck. "Apple released the $7499-computer to celebrate its 20th anniversary in business - almost a year after that anniversary had passed. The machine cost more money than most individuals had . . . and its resulting scarcity bred a cult-like following that persists to this day." 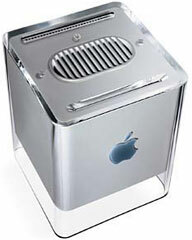 "Just after Steve Jobs announced the Power Mac G4 Cube in 2000, Apple fans immediately remembered the cube-shaped NeXT Computer from 1988 and began to sense a pattern emerging. "Aside from those two computers, that theory has never really been put to a good test. Perhaps some day Apple will release a hoard of cube-shaped iPod prototypes (with cube-shaped earbuds - ouch!). Until then, I'll admit that the only two notable cube-shaped PCs released in the United States arrived under the purview of Jobs. So yes, he probably liked cubes." "You're looking at the original Hackintosh. That's what folks called the Macintosh XL back in the mid-1980s, because the product featured the body of an Apple Lisa 2/10 and the brain of a Mac. 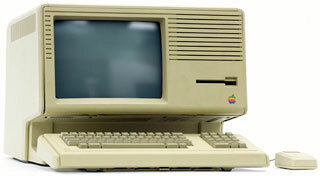 "The Lisa debuted in 1983 (predating the Macintosh by one year) with the exorbitant price of $9995 (mistake number 1). Understandably, sales were slow. Apple attempted to revitalize the Lisa line with the release of the Lisa 2, which launched alongside the first Macintosh in January 1984 (mistake number 2). Macs outsold Lisas by a huge margin, and Apple knew the Lisa platform was doomed. "Seeking to clear out existing Lisa 2 inventory, Apple bundled the unit with Macintosh emulation software and re-branded it as the Macintosh XL. It launched in January 1985 as part of the Macintosh Office system. "To Apple's surprise, high-end consumers snapped up the $3995 Macintosh XL in dramatic fashion, buying up Apple's entire supply within five months of its release. "With 2 MB of RAM and a 10 MB internal hard drive (at a time when the most powerful 'regular' Mac included a non-upgradeable 512 KB of RAM and no hard drive), the Mac XL seemed a bargain for users who wanted a Mac with enough memory to actually be useful. It even sported a higher display resolution than its smaller Mac cousin (608 by 431 versus 512 by 342 on the original Mac)." "Pop quiz: Name the first partly translucent all-in-one Macintosh. If you said 'iMac,' you'd be horribly, terribly mistaken. But we'd all forgive you for thinking that. 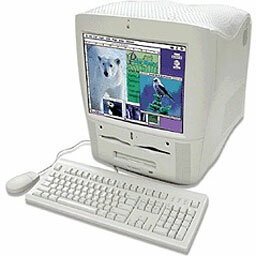 "No, that honor goes to the Power Macintosh G3 All-In-One, announced in March 1998 - a mere two months before the iMac. Amazingly, this 59-pound beast of a machine slipped in under Steve Jobs's watch, although you can be assured that this molar-shaped monstrosity traces its origins to a time before he took charge." We love old Macs here at Low End Mac, and we've fiddled with BSD and Linux from time to time, but I take just the opposite perspective here. Windows is huge. Macs are big. Linux is small, maybe 2-3% of the desktop market, and most Linux software is compiled for x86 PCs, not old PowerPC Macs. Further, going from the Classic Mac OS or Mac OS X to Linux is a giant step backward in ease of use. Sure, it may be more secure, but we're Mac users because we love the Mac experience. Ditching the Mac OS for Linux is like taking a luxury car and replacing the automatic transmission because you want more control. I'd rather enjoy the smooth ride and the scenery than think about shifting gears, so even though I do have a Linux box here at Low End Mac headquarters, it's not a bastardized Mac. My 2¢. We're linking to your article in this week's Vintage Mac News, and while I wish you and other PPC Linux users the best, I think you're only creating an even smaller platform. Ouch. I have to say, I'm vaguely insulted by all this talk about Linux not being user-friendly given my widely disseminated and universally acclaimed install guide that if followed faithfully and with a true heart will lead to the user-friendliness that Mac users crave. In the meantime I, and I expect others, will keep writing about Linux because with OS X dead on PowerPC and increasingly restrictive toward developers on Intel, it's becoming less interesting these days. And to prove me right, Zen is promising more posts about Lubuntu including an install guide. Publisher's note: I'll admit to not having run any version of Linux on PowerPC Macs in quite a while. I honestly don't see the point, because my OS X 10.4 Tiger and 10.5 Leopard G4 Power Macs do almost everything I need to do - and the few things they can't do well can be done on my 2.0 GHz Intel-based 2007 Mac mini. Why learn another operating system and new software (often far less polished than Classic Mac apps) when my PPC Macs remain perfectly useful running OS X? I do have Ubuntu 12.04 installed on a 2.8 GHz Pentium 4 computer, and while it works and has more up-to-date apps than my PPC Macs, Linux is as alien to me as Windows, which I've also used very rarely. Link: Et Tu, LowEndMac? Et Tu? "I have tried every version of Linux available for PowerPC and Lubuntu is my favourite by far. I would put Debian Squeeze and Mint about tied for second." "In terms of the Ubuntu family only Lubuntu gets my personal approval. I have tried every single one and while they are all complete enough to be usable, only Lubuntu is lightweight enough to match and even surpass Debian performance. Some people think that installing LXDE in Ubuntu will produce the same OS which is not the case at all. The lightweight ideology of Lubuntu goes much deeper than the GUI. Lubuntu has the balance that any good OS needs which is great performance combined with full capability. "In the next few days I will post a full Lubuntu install guide since I have had a lot of emails and a few comments asking for help. I will take you from downloading and burning the iso right through to having it fully setup for use."